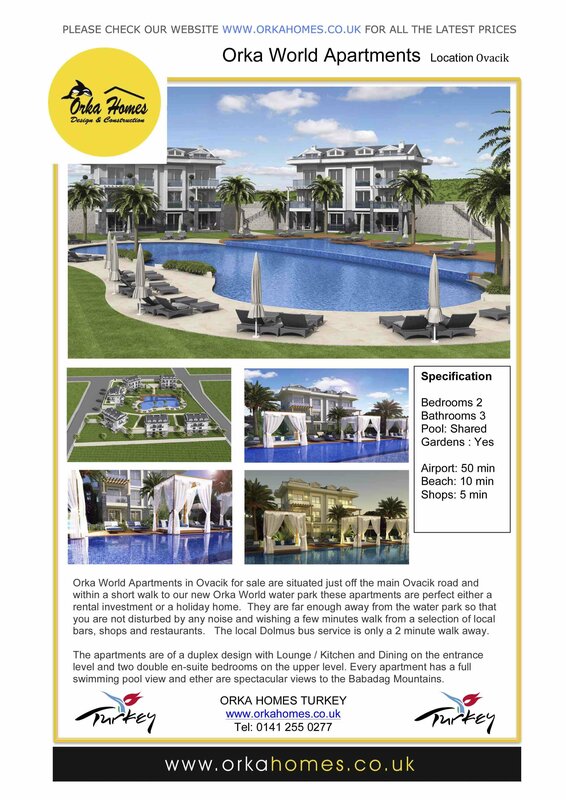 Orka World Apartments in Ovacik for sale are situated just off the main Ovacik road and within a short walk to our new Orka World water park these apartments are perfect either a rental investment or a holiday home. They are far enough away from the water park so that you are not disturbed by any noise and wishing a few minutes walk from a selection of local bars, shops and restaurants. The local Dolmus bus service is only a 2 minute walk away. The apartments are of a duplex design with Lounge / Kitchen and Dining on the entrance level and two double en-suite bedrooms on the upper level. Every apartment has a full swimming pool view and ether are spectacular views to the Babadag Mountains from the swimming pool and gardens. 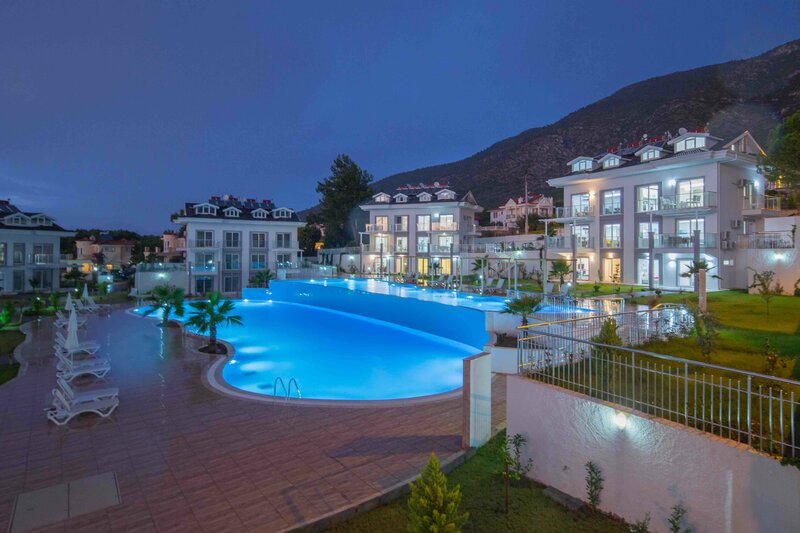 Orka World Apartments Ovacik is a small development with only 24 apartments and will sell very quickly due to ideal location, apartment size and proximity to amenities including Orka Water park.